On the other side of the door, in a room not visited by humankind in the last 3,000 years, Howard Carter saw the glitter of gold. Gold was everywhere. On gilded boxes and statues. On strange and beautiful furniture. Carter found himself speechless. Behind him his sponsor, Lord Carnarvon, whispered, "Can you see anything?" Carter replied, "Yes, wonderful things!" The discovery of the tomb of the Egyptian boy-king, Tut-Ankh-Amen, probably ranks as one of the most exciting finds ever in the field of archaeology. The tomb, missed by the ancient robbers that plundered the resting places of other kings, provided an unequaled glimpse of life for royal Egyptians some 30 centuries ago. Not all archaeological quests led to treasure. Most expose mysteries that scientists have not yet solved. The Science of Archaeology - How do researchers tell how people lived so long ago by digging through their trash? Stonehenge - This famous location is just one of many rings of standing stones in the British Isles. What purpose did they have? Mystery Hill - This set of ruins has been referred to as "America's Stonehenge." Is it really the remains of an ancient civilization, or does it have a more recent origin? Easter Island - There are 200 immense stone statues on this tiny island. How did a people without heavy ropes, thick timbers, or draft animals erect them? Why did they carve them? And why, as the many statues abandoned still in their quarries attest, did they suddenly stop? Rosetta Stone - The Egyptians covered their works with strange writing called hieroglyphs. 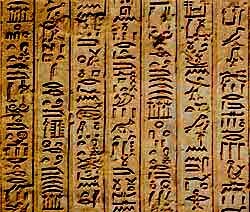 Nobody could understand what this strange language meant until the chance discovery of this ancient tablet. Nazca - High on the plains of Peru are an ancient set of immense figures and lines only discovered after the invention of the airplane. Visible only from the air, were they meant to be viewed only by gods? Or perhaps someone else? The Great Pyramid - Build over 4,500 years ago the structure in Egypt is the only one of the seven ancient wonders that remains today. The Secret of Pyramid Construction - How did they Egyptians build these immense structures with primitive tools and make them last for thousands of years? The Curse of King Tut's Tomb - The finding of an untouched tomb in Egypt's Valley of the Kings was a scientific coup for archaeologist Howard Carte, but did he also unwitting let lose an ancient curse? Sphinx - Though it had nearly disappeared under the shifting sands more than once, this half-man, half-lion continues to guard the royal tombs of Egypt. Moche Pyramid - Not all pyramids are in Egypt. This one in South American hid a fortune in gold and valuable artifacts which was being slowly looted by thieves until one courageous man stopped them. Tower of Babel - In Mesopotamia the ancients built pyramid-like towers called ziggurats. The grandest of these could be found in the lost city of Babel. Noah's Ark - Many adventurers say they think they know were remains of this most famous of boats sits, but none of they has yet been able to furnish proof that they have found it. Newport Tower - This building sits in the center of one of they most posh ocean resorts in North America. Could it be a link to an ancient past? Bomarzo: Grove of the Monsters - Perhaps the weirdest garden is located just outside the small village of Bomarzo, in Italy. It contains some of the most horrific statuary that one can imagine. A huge elephant carries a trampled soldier, a giant tears apart his enemy, a dragon combats its prey and a colossal mouth gapes open to swallow visitors. Who would have made such a bizarre place and why? Pompeii - A City Frozen in Time. Camelot - The famous castle of the legendary King Arthur may actually be a real location. Petra - This hauntingly beautiful, but deserted city of tombs is the remains of a bustling metropolis of biblical times. Atlantis - The story of the city-continent that suddenly disappeared beneath the waves during a catastrophic earthquake. Did it really exist or was it just an old story? The Labyrinth - This legend tells us that this underground maze, in the city of Knossos, was the heart of a lost civilization. Lost Cities - Lost cities exist all over the world. Here are a few spectacular examples. Shrunken Heads - Only one group traditionally practiced the art of taking a trophy human head and reducing it in size to that of a man's fist. Holy Lance - This artifact is said to have the power to help its owner rule the world. Was it the secret to Hitler's success? Baghdad Battery - Electricity and batteries are inventions that we think are only a few of centuries hold at most. The Baghdad Battery argues that we are wrong. Piri's Map - This map shouldn't exist. It seems to show the coast of North America long before the continent was discovered. Ark of the Covenant - Is this famous biblical relic still hidden somewhere? 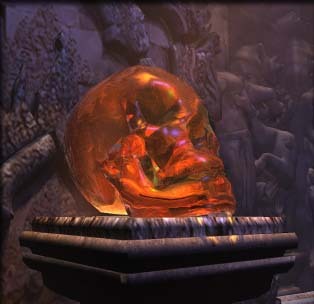 Crystal Skulls - The movie Indiana Jones and the Kingdom of the Crystal Skull highlights these strange archeological oddities. 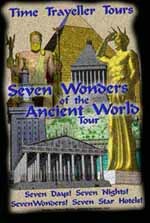 Were they created in ancient times for paranormal purposes or are they modern fakes? The Antikythera Mechanism - A mechanical computer that existed two-thousand years before the age of electronics. Who built it? Oak Island - Legend has it that at the bottom of a deep pit on Oak Island in Canada, lies a fabulous pirate treasure. Despite many attempts to recover it, some leading to the death of several treasure hunters, it has never been found. Copper scroll - This artifact lists a huge mass of hidden gold, silver and precious objects hidden in Israel that so far nobody has been able to find. Nazi gold - Hidden treasure from W.W.II may still be at the bottom of some of the deepest lakes in Germany. The Treasure of Troy - Many believed the story of the ancient city of Troy was a myth, until Heinrich Schliemann found it. Or did he? The Pirate Room - These characters buried treasure all over the world. Not. Piltdown man - This artifact fooled scientists for decades. Who was the jokester and why did he do it? Hitler Diaries -It would have been one of the greatest historical buys of the 20th century: Sixty-two handwritten volumes of a secret diary kept by Adolf Hitler. Der Stern Magazine thought they had the exclusive rights into one of the darkest minds of all time. Instead, they paid millions of dollars for a hoax. Newark Decalogue - A strange rock tablet in a strange place. Beale Cryptograms - Fabulous treasure or fabulous hoax? The Lost Gold of Devils Tower - The legend of a cave of gold. Copyright Lee Krystek 1997-2008. All Rights Reserved.